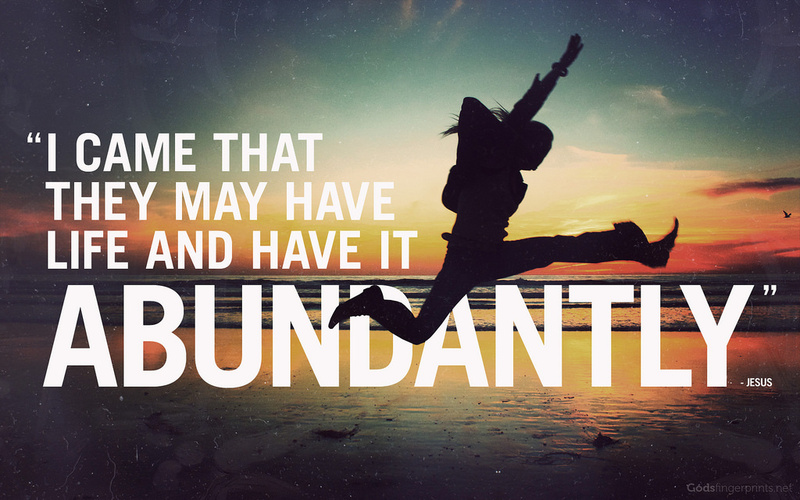 Life, Abundantly! : Spiritually: Choose Life! Application of the wonderful Gift of our Free Will is the most important aspect of our life and creativity in our bodies and our lives. You can't do it wrong. If you don't like the result: Choose Again, and keep choosing. We are spirit (souls), a part of God. If we identify with merely the flesh we are 'lost at sea' in this world. When we identify with Spirit- our Oneness with God, in God... our life, and our world, is transformed. We are spirit and we have spiritual senses and abilities that go WAY beyond our physical senses and abilities. and a key to understanding what God is saying to us over and over and over. Consider it: one cannot live with God, walk with God, Listen to God, Cling to God as a BODY!!! and follow rules and structures and teachings, as a child is trained to do. This is not a spiritual life! This is not the beautiful message of the prophets and mystics through the ages. Rather, we must do these things as spirit, with a spiritual-focus! We must relate to God and follow God Spiritually - not physically! Let us ask God to open our spiritual eyes more and more to read scripture from a spiritual point of view and it will become more and more Life-bringing to us. Exponentially more importantly, let us ask God to open our spiritual ears more and more to hear God's voice directly... and respond directly. This is what we are asked to do, let us do it! If you don't know how, find out. hearing what God is saying and saying that. IF we want to relate to God and follow God, we Must do it Spiritually - not physically! Get our free-will back, and learn to apply it. Align with God, behold and reflect the Glory of God, from right-relationship with God be filled and healed and matured by God. Open to our spiritual senses to See the Way, Hear God's voice, and then Act from there - Being the Hands and Feet of God in our world. IF we want to Choose Life, we Must do it Spiritually - not physically! to ALLOW the *Inner* changes, that allow the physical shifts to occur. I call this Spiritual healing, growing, shifting - but it doesn't Have to be called spiritual. In my expereince as a Spiritual Healer, and as a Naturopathic Physician's Assistant, I have had the opportunity to watch MANY folks heal chronic illness and climb out of chronic pain syndromes - including myself. And have had the chance to watch many turn away and Not choose to Heal. From my perspective and expereince, it is the deep INNER CHOICE that makes all the difference. Then a whole new world becomes possible... and our work truly begins. In this process I may get physically healthier: faster or slower (or sometimes not at all, if that is not my path) but no matter what, I expereince that I AM Whole, and life is Good.